In the spring of 1956, a young American photographer falls in love with a Cuban line cook at New York’s Waldorf Astoria. They have a ten-week affair which ends when Immigration arrests and deports him, and by then Clare Miller is pregnant. Few Americans know the name Camilo Cienfuegos. All Cubans do. In real life he was the most charismatic of Fidel Castro’s commanders—until his small plane vanished only months after Fidel came to power. In A Hundred Fires in Cuba, Clare must choose between the stable Cuban businessman she has married and her first love, Camilo. Though a true revolutionary, Camilo likes to dance and drink. He likes women, and too many women like him. His courage is legendary, yet when he comes to visit Clare he’s afraid of his own daughter and her moods. Clare worries that he’ll never make a good parent, but she cannot resist him. 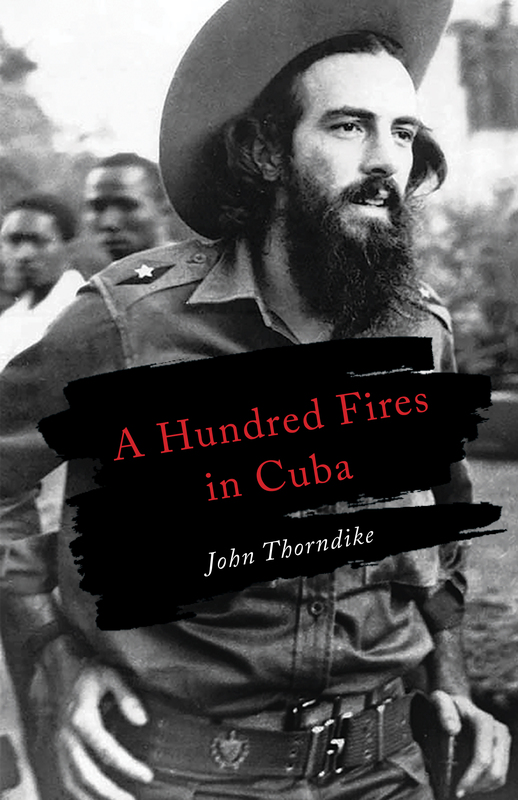 Author John Thorndike grew up in New England, graduated from Harvard, took an MA from Columbia, then lit out for Latin America. He spent two years in the Peace Corps in El Salvador and two, with his wife and child, on a backcountry farm in Chile. Eventually he settled with his son in Athens, Ohio, where for ten years his day job was farming. Then it was construction. His first two books were novels, followed by a memoir, Another Way Home, about his wife’s schizophrenia and his life as a single parent. A second memoir, The Last of His Mind, describes his father’s year-long descent into Alzheimer’s.